On Halloween Horror Nights at Universal Studios Florida™, nightmares rule the darkness. Haunted houses drawn from the greatest horror stories chill the bravest souls. Streets transform into sinister scare zones. Mad laughter echoes from outrageous live entertainment. 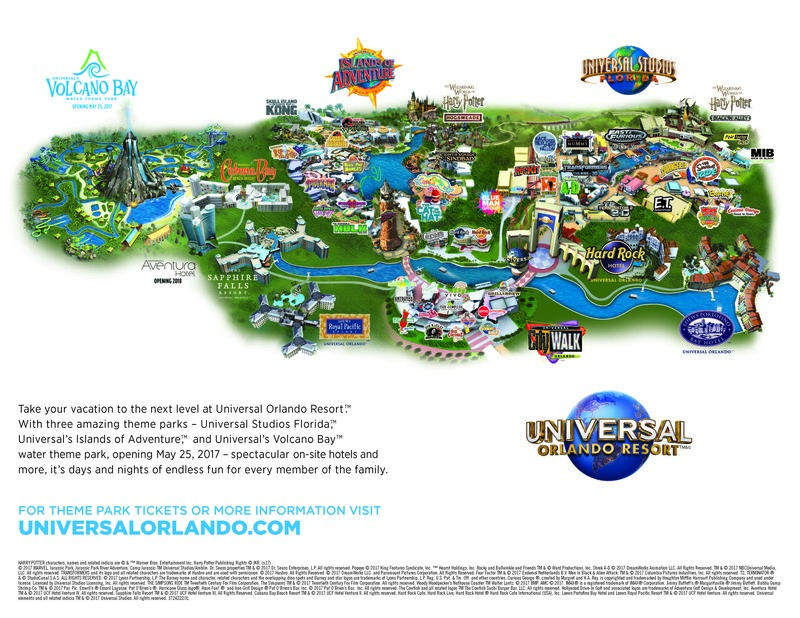 And throughout the park, some of Universal’s most exhilarating attractions tempt with thrilling escapes. Beginning in November, Universal Orlando Resort unwraps a resort-wide holiday celebration that will elevate your season. Experience Christmas in The Wizarding World of Harry Potter™, an amazing parade, Grinchmas™ and more. You’ve never had a holiday like this. The whole year’s been leading up to this: EVE, Universal City Walk’s jam-packed New Year’s celebration. Feast on unlimited gourmet cuisine and enjoy signature drinks. Revel in six awesome City Walk™ clubs with live bands and DJs. And you can rock out on Orlando’s biggest outdoor dance floor. (21+ only with valid photo ID. Beverages not included. Free self-parking after 6 pm. Restrictions Apply.). HARRY POTTER characters, names and related indicia are © & ™ Warner Bros. Entertainment Inc. Harry Potter Publishing Rights © JKR (s18) Dr. Seuss properties TM & © 2018 Dr. Seuss Enterprises, L.P. All rights reserved. Macy’s Thanksgiving Day Parade & Related Characters © 2018 Macy’s Inc. Mannheim Steamroller is a registered trademark of Chip Davis. Shrek © 2018 DreamWorks Animation LLC. All Rights Reserved. Madagascar © 2018 DreamWorks Animation LLC. All Rights Reserved. Universal elements and all related indicia TM & © 2018 Universal Studios. All rights reserved.